Star Dust is a nice column, designed especially for you! 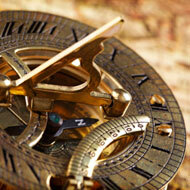 We want you, from home or wherever you may be, to be able to satisfy your desire for Astrology! Thanks to our gadgets and our guidelines, you will be able to discover your Meridian or personalise your desktop by downloading the images we have available for you, making this particular and highly original! Sprinkle your senses with Star Dust! 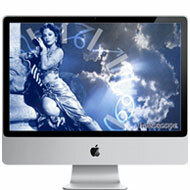 The Astrology Wallpaper AstroDesktop is the wallpaper for Windows or Mac. Horoscopofree offers you a personalised wallpaper - AstroDesktop. It is a picture of a priestess in the shades of timeless classicism, which will transform your wallpaper from anonymous to unique! Tell everybody to join the Astrological Community of Horoscopofree! Do you work a lot and earn little? Are you so stressed that sometimes you feel like leaving everything as it is and going to an unknown place with a single ticket? Trust in Career Horoscopes and stress won't be a problem anymore thanks to the advice of Horoscopofree!